We have the area’s largest selection of arrows, broadheads and fletching supplies at Glauber’s Sports in Carrollton, KY. Choose from hundreds of arrows, fletchings, tips, and shafts for target archery, bowhunting, long-range field archery, and traditional archery techniques. Choosing the right materials for your arrows is the difference between hitting your target or not. Let our professional archers assist you and work on your arrows while you wait. We can cut arrows down to virtually any size needed. Your arrows are just as important as your bow. Whether you’re competition target shooting or hunting big game, choosing the right arrow and tip is crucial. Stop by Glauber’s Sports and shop our wide selection. There are many types of arrows to choose from for all types of archery sports. Each type of arrow has different strengths and reasons for use depending on your needs. Arrows vary by material, arrow spine, arrow length, and arrow shaft pattern. You have low-cost arrows suitable for practice and learning all the way up to premium, quality-made arrows for high accuracy and long range bowhunting and tournament archery shooting. Arrow Material: This ranges from Wood Arrows, Carbon Arrows, Aluminum Arrows or Fiberglass Arrows. Arrow Spine and Length: Your arrow length and spine depend on the type of bow being used, your draw length and pull weight. Arrow Shaft Pattern: A matter of personal preference, your arrow shaft pattern options vary by material. Traditional wood arrows can be found in a variety of wood stain colors and accent colors. Aluminum arrow shafts are fairly similar across the board. 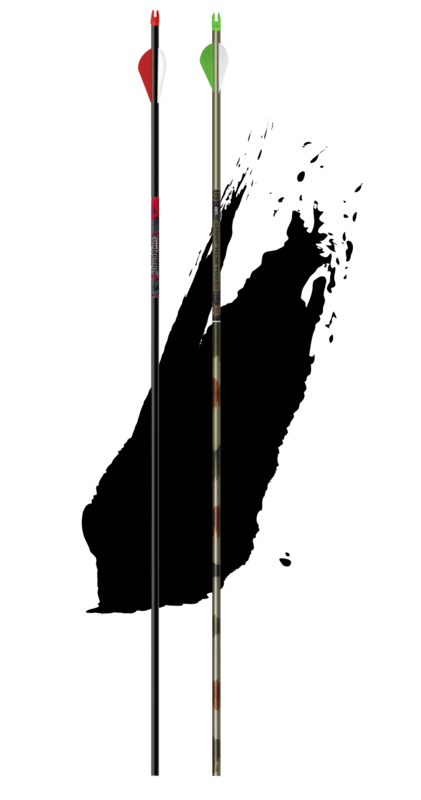 And last, but not least, carbon arrow shafts are usually found in fun and popular patterns such as camouflage arrows, black arrows, wood grain arrows and more. The type of arrow you buy determines the accuracy you can get. Not all arrows are created the same, and arrows need to be tuned to each bow individually for the best shooting results. 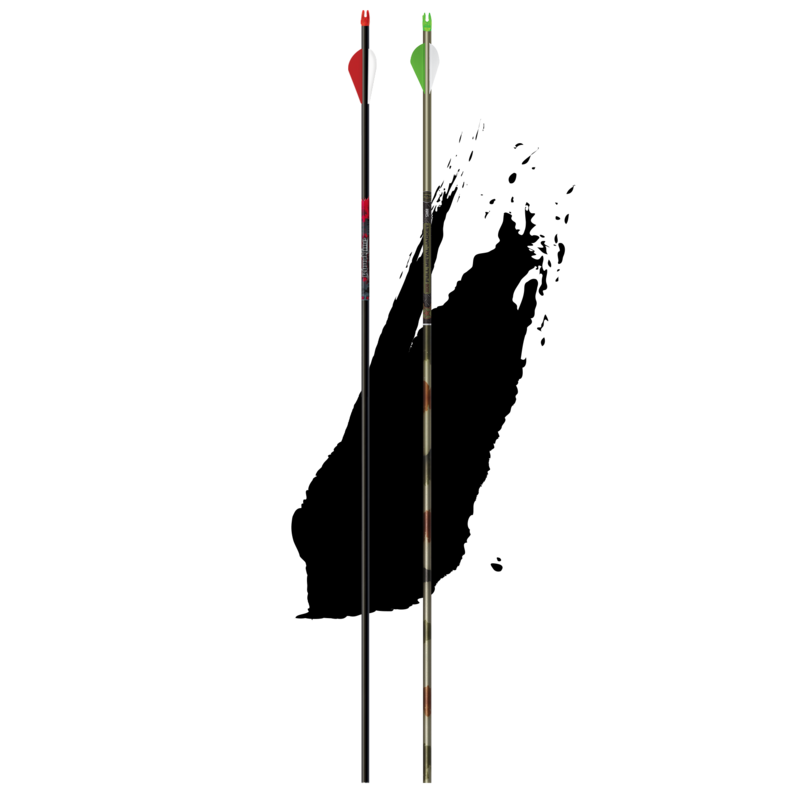 At Glauber’s Sports Archery Pro Shop you’ll find a variety of arrows in stock including Carbon Arrows, Aluminum Arrows, Wood Arrows, and Fiberglass Arrows. 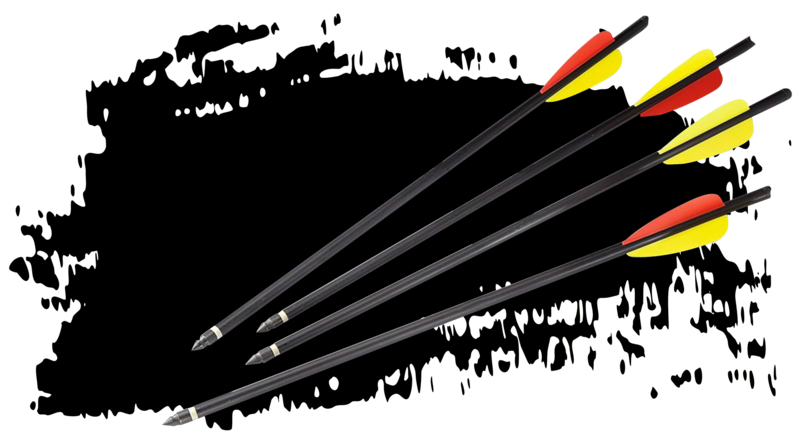 We offer arrows in a variety of spine stiffness and both solid vane fletchings and feather style vanes. Our archery pro shop has a large selection of inserts, nocks, and arrow tips. Broadheads and Arrow Tips are the tips of your arrows. These can also be customized according to your choice of archery sport, archery target or game. Broadheads and Arrow Tips are usually pointed to cut into your targets easily. Knowing your intended use is the first step to selecting the type of broadhead and arrow tip you use.